Maybe you’ve worked on plenty of projects, and are considering making a career out of project management. What exactly does a Project Managers job involve and what skills are needed to become successful in the field. We at CSR can point you in the right direction. You can check current Project Manager Jobs Belfast by using the search facility on the left. Planning, carrying out, and Closing Projects – defining the project, building its comprehensive work plan, and managing to stay within a given budget and timescale. Managing Teams – encouraging commitment and productivity, overcoming potential problems and keeping team members motivated. Managing Expectations – matching projects to business goals, managing stakeholders, and communicating project status, milestones, and unexpected difficulties effectively. 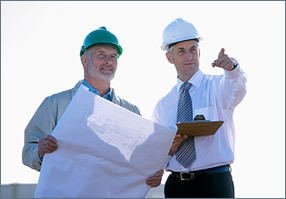 In addition to all of this, depending on factors such as the size and nature of a project and resource constraints, a project manager will need to be flexible for example, some project managers need to assist with the gathering of business requirements and/or may work full time on a large project or even part-time on multiple, smaller-sized projects. An important point to remember that project managers are not expected to carry out all of the project work themselves. Project managers have project teams working under them who help to achieve all the requirements of the project; however, if something does go wrong with the project, the project manager is always ultimately responsible.